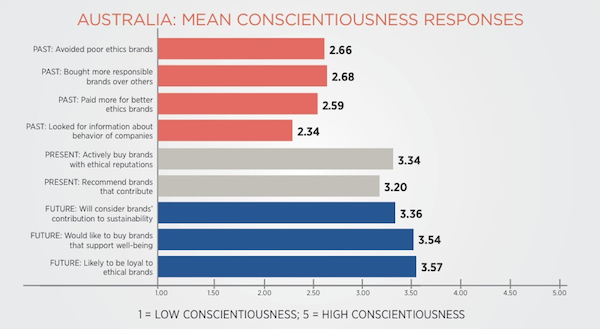 Australians are increasingly favouring ethical brands, with more than three quarters of respondents to a Havas PR study showing some conscientious consumption. In the past, almost three fifths of respondents reported failing to act conscientiously. Havas PR describes its findings as representative of a “more conscientious spirit” which it terms “conscientious capitalism”. 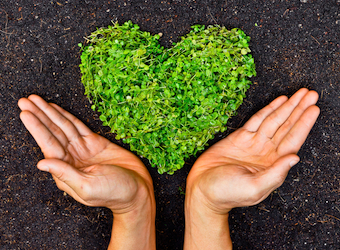 “It’s about brands doing what’s right, combining profit and conscience, simply because it is the right thing to do rather than just another clever way to create photo and branding opportunities,” the report explains. The global study’s local component surveyed 500 Australian over-18s, half male and half female. The shift towards increased conscientious consumption behaviour was even larger in desired and anticipated future behaviours. Ethical issues important to many individual Australians on some level relate to the environment as well as fair trade, equal opportunity, social justice, conflict sourcing, tourism, animal welfare, the global economy, changes to working environments due to technology, inequality, obesity and immigration. “For some the change is deliberate, while for others it’s a gradual shift, going with the tide of changing public sentiment,” the report says. more than 40% ‘rarely’ (24%) or ‘never’ (17%) undertook this behaviour. 16% often avoided them, while a hard-core 6% ‘always’ did. those who were most willing to pay more responded with ‘often’ (14%) and ‘always’ (4%). 35% of respondents were non-committal on the issue. less than a quarter do not do this (14% ‘somewhat not’ and 9% ‘strongly not’). 14% said they would not do so. 11% disagreed (6% ‘somewhat disagree’ and 5% ‘strongly disagree’). 11% disagreed (7% ‘somewhat disagree’ and 4% ‘strongly disagree’).